We’ve just received news that Principal Insurance has extended their offering in the Irish market to include cover for customs, classic, trikes and high value bikes. MAG Ireland (The Irish Motorcyclists’ Association) welcomes this development. Over the past two years we’ve seen specific difficulties relating to insurance on trikes as underwriters continue to refocus their offerings on mainstream market segments so it’s good to see that there are finally some new options available here. The news comes at a time when motorcycle sales are once again beginning to pick up following the recession and will be welcomed by all riders as a positive and constructive development in the Irish motorcycling scene. Below is the formal announcement from Principal Insurance on this development. 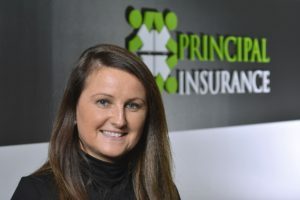 Principal Insurance has signed a new deal with non-standard motor underwriter Tansar which will significantly extend its reach within Ireland’s motorcycle insurance market. The fast-growing specialist insurance group opened offices in Dublin in April 2015 with bike insurance as its first target sector. Within just 18 months the broker has secured over eight percent of the market and is forecasting it will book €1m in biking premium income this calendar year. The Tansar deal will enable it to quote on a much broader range of bikes, most notably by offering cover for classic, custom, trike and high value machines. This will include agreed value for some lines. Having thus far only been able to cover three bikes on a single policy, Principal is also now bringing a full multi-bike offer to market. said Aly Dixon who heads Principal’s Irish operation. Andrew Hill, Tansar’s head of motorcycle, said that Principal was a natural broking partner. “Tansar was set up specifically to cover non-standard risks, just as Principal was. We both offer extensive experience and understanding of the niche markets we serve which, together, enables us to better evaluate risk and quote appropriately. Principal is growing fast in Ireland. Having opened its office in Santry 19 months ago with just two staff, it now employs nine and serves over 3,000 policyholders.